Have you recently noticed any unintentional skin disorder on your eyelids? Have you found that your skin on eyelid first became red and then swollen? Well, if you have noticed such condition of the eyelids then it is quite possible that you have eyelid scar. 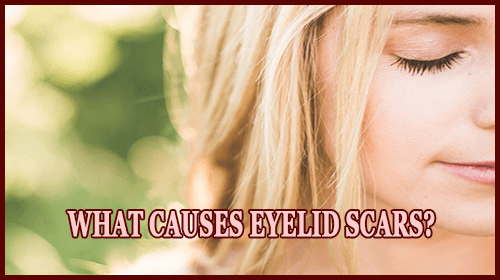 If it is scar then you have come to the very right place as here in this blog, you will get to know everything about eyelid scarring. Also, you will get to know about eyelid scar treatment here that will definitely help you get rid of eyelid scarring. The recovery after eyelid surgery only starts after the stitches have been successfully removed. Then, the eyelid scar will first of all turn red and then become swollen as a sign of an increase in blood flow and the connective tissue creation. During the following months, this scar will turn smoother and thinner, also the red shade will change to purple and it will then fades gradually. Swollen and red scar tissue is quite painful due to the increase in blood flow and swollen eyelids. When the eyelid scar tissue soothes, the pain will automatically fade away. When there is a severe pain you notice while touching the scar, it is possible that the skin nerve is being captured within the eyelid scar tissue. While having this eyelid scar issue, it may be sometimes not possible to close the eyes properly so that irritation, drying and infection can take place. Due to this condition, when the loser eyelid gets affected, there is too much white showing and the eye generally alternates between watering and feeling gritty. Well, outpatient surgical eyelid scar repair can restore more normal function and appearance of the eyes. The careful examination while consulting with the surgeon will help you know the exact details of the eyelid scar repair that is actually required. 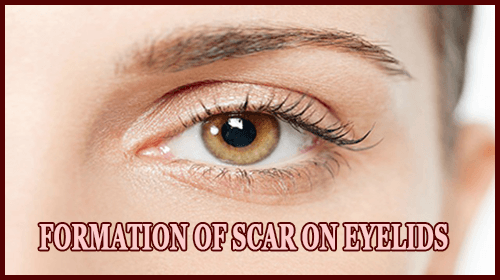 Eyelid scar is a serious issue that takes place if the eyelid surgeon does not have the proper experience and skills. He/she will fail to hide the minimal scarring you should expect from the blepharoplasty eyelid surgery. Incisions are generally made in the crease or the area that is hidden and allows the eyelid scars to heal out of sight. There can be an excess eyelid scar takes place if the surgeon does not stitch the incisions in a correct manner. 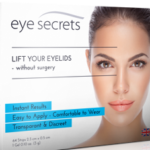 You can have the best option for eyelid scar treatment if you have a specialist cosmetic eyelid surgeon. Does Eyelid Surgery Actually Leave Scars? When an eyelid surgeon performs eyelid surgery, he/she will definitely try to match the surgical incision with the eye’s natural folds that reduce the appearance of the eyelid scars. When the eyelid reduction or fatty skin is removed then the surgeon will insert stitches so that the incision wound heal faster. However, the incision will be in an area that will look quite similar to the eyelid’s natural crease that you can help it to heal and minimize the eyelid scarring. This generally includes treating the incision wound as per the orders of the doctor, which also includes keeping the eye area dry and cleaning for the very first or two weeks or so during the starting healing stage. Also, you will be required to wear large sunglasses that block the UV rays just to reduce the damage caused by the sun. Fractional laser resurfacing uses a laser just to send out brief pulses of high-energy light that are absorbed by substances in the skin as well as water. The heat energy produced from the laser vaporizes thin sections of the skin. Fresh and new skin grows over the treated area that results in a very improved appearance. This process also heats the layer underneath so that it can reduce collagen production that used to stimulates skin in the area that has been treated to heal in a smoother appearance. 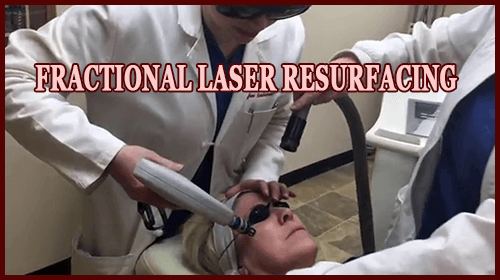 Why Choose Fractional Laser Resurfacing For Eyelid Scar? Fractional laser resurfacing is one of the most effective eyelid scar treatment which is generally caused due to surgery, acne or injury/trauma that are not getting thicker and growing more. 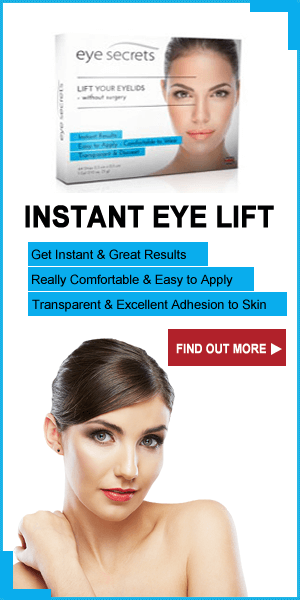 So, you can undergo this eyelid scar removal treatment. The scar is first of all cleaned and then it is marked with a pen. Generally, topical or local anesthesia is used to numb the eyelid area before starting the eyelid scar treatment. However, to some people, an anti-anxiety medicine or a sedative is given so that they can relax. Patients should wear goggles so that they can prevent eye damage from the laser’s radiation. A surgeon will place wet towels around the treatment area so that it can absorb excess laser pulses. During this scar treatment on eyelid, the laser is passed over the eye skin so many times. This laser resurfacing process may burn or sting slightly. However, some patients feel a snapping sensation against the eyelid skin. After finishing the scar treatment on eyelid, the eye area is covered with an ointment or a clean dressing. The choice of people has been shifted from traditional open surgery to the use of less invasive means. 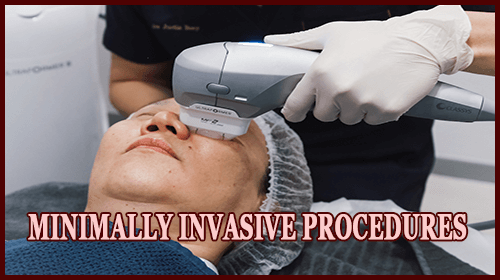 A minimally invasive procedure is an eyelid surgery scar treatment that is done with the help of a viewing scope and also with the help of surgical instruments that have been specifically designed for this purpose. The scope allows the surgeon to perform some major surgery via some tiny opening without requiring large incisions. Minimally invasive procedure alternatives generally result in a less scarring, less pain, reduced healthcare costs and quicker recovery. Nowadays nearly almost everything from open-heart surgeries to vasectomies is now being done with this minimally invasive procedure. Surgical revision with an advanced technique for eyelid scar removal treatment is also done with laser treatment along with a CO2 fractional laser system. This is an office-based surgical procedure that is performed with no anesthesia or performed with topical. 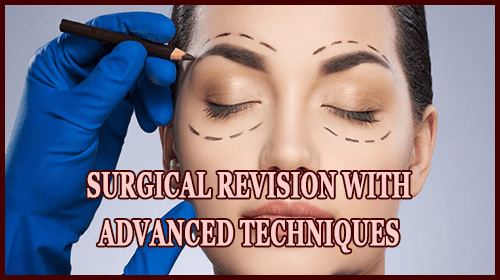 This surgical revision procedure may improve the burn scars, acne scars, traumatic or surgical scars. Well, a surgical revision procedure is actually meant to minimize the scar so that it is more consistent with the surrounding skin texture and tone. However, scar revision procedure can provide a more appealing cosmetic result or the scars can also be improved that has actually healed poorly, but complete eyelid scar removal is not possible in this treatment. After the patient is done with the eyelid scar treatment, they can usually return to their home on the same day of the procedure. When everything is done, the pain a patient may feel is so minimal that he/she can return to the normal activities the day after the surgery is done. If any discomfort occurs then it can be corrected with the oral medications prescribed by the doctor. It is quite possible that the eye will be covered with a patch for some regular days and the patient should then expect some swelling and bruising during the very first week. All these issues will be disappeared within two weeks. 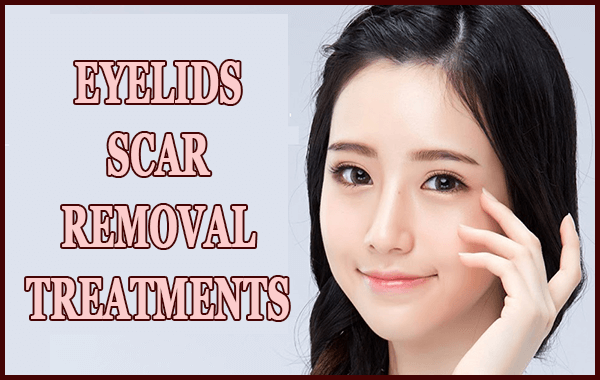 Eyelid scar is a really irritating issue that occurs due to several reasons, but eyelid surgery is one of the major causes due to which eyelid scar happens. However, after going through the above sections of the blog, you might have noticed that there are some eyelid scar treatment that can be taken into action for eyelid scar removal treatment. So, you can first consult your doctor and then decide which is the best treatment for you to be taken into action for eyelid scar repair. All these are affordable and you don’t have to worry about its side effects because if any side effect takes place then it will heal within 10 days automatically after the treatment is done. So, all the very best to you. Learn best eyelids scar removal treatments that occur after blepharoplasty eyelids surgery. 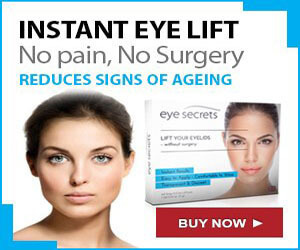 Get scar free eyelids for vibrant and beautiful looking eyes.